Don’t want to go to the cinema every time you’re in the mood to watch a 3D movie? Why not have the cinema come to you? 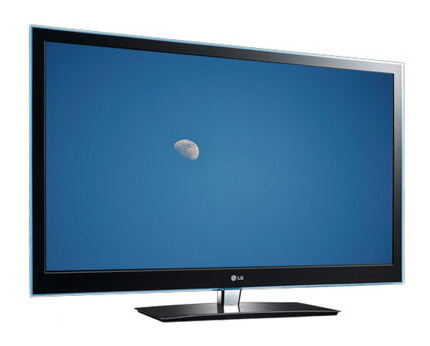 Meet the 55LW550T – LG’s monstrous 55” 3D TV. You can enjoy cinema-quality movies right within the comfort of your house with this TV. Full HD content, 3D movies, Internet and everything else you might think of finding in a TV is already there, in the LG 55LW550T. Get yours now from amazon.co.uk for £1,199.00. 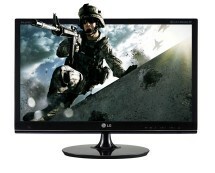 Buy the LG 55LW550T and Forget About Cinema? The LG 55LW550T is so big that it will have you starting to sell tickets at the entrance of your house and declare it a public cinema. Leaving the joke aside, the TV really is huge, making watching TV a pure pleasure on its 55” Full HD 3D display. 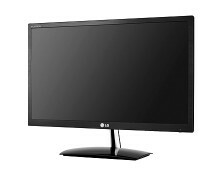 Content is displayed impeccably, and it’s no wonder, considering that the LG 55LW550T incorporates all the latest technologies such as LG’s renowned XD Engine, 2D to 3D conversion, LED backlighting with local dimming and many others. 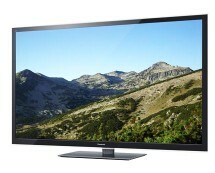 The 55LW550T is not only a great TV but also a complete multimedia centre. 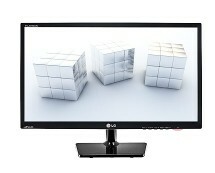 It incorporates all the connectivity options you can think of: HDMI, USB, Wi-Fi, DLNA and many more, indicating that LG clearly didn’t make any compromises with this one. As you would expect, Internet connectivity is present, along with a very well-organized and complete online platform, known as Home Dashboard, which provides quick access to social networks, videos on demand or apps. The intuitive menus are good enough to ensure a smooth experience but LG took things even further, giving you the ability to download the LG TV Remote app to your smartphone and use it as a smart remote. Alternatively, you can purchase the LG Magic Motion Remote Control and use that for easier navigation. Overall, the LG 55LW550T might seem as a high-priced TV at first, but you’re getting a top-class product for your money.